Allergy results from the battle between an invading foreign agent (called allergen) and the soldiers of your body called antibodies. The antibodies can also memorize the face of the allergen and next time this invasion takes place, the antibodies will vigorously attack the allergen to eliminate it. The symptoms of the nasal allergy will thus be an outcome of this battle. These symptoms can be mild or quite severe. There can result damage to the tissues involved, dilatation of the blood vessels and most importantly release of chemicals such as histamine and leukotrienes. These chemicals are responsible for the nasal symptoms observed such as a itching, sneezing, nasal congestion and discharge. Similarly, a person might have eye symptoms as well such as watery and itchy eyes. If one has allergy it is common to observe allergic reactions going on at different sites as well such as the ears, chest (asthma) and skin irritations. Which are the common allergens? Anything can become a cause of allergy to the body but the common ones are pollen (zardana in Urdu), house dust mite, cockroaches, moulds, animal dander, and chemicals around the house. It is common to use chemicals in various forms inside the house without one even thinking about them as a possible source of allergy. One sprays air fresheners, insecticides, even the toilet cleaning foams have chemicals and a potential of becoming an allergen to your body. In some individuals certain foods can be a source of an allergen, commoner ones being beef, fish, prawns, strawberries, bananas, milk and milk products such as cheese and Pakistani sweets like “burfe” and ‘ras malai’. Certain drugs can also cause allergy such as aspirin, blood pressure drugs like beta blockers and certain pain killers called NSAIDS. Dust is not only light mud which is floating in the atmosphere; it is rather a combination of microscopic objects such as fungal spores, bacteria on the dust particles, cockroach parts and fabric fibers etc. People who work in certain industries where there are chemical fumes, dusts or smoke are also liable to end up with an allergy affecting the nasal passages. These could be people working as cotton sorters, flour mills and in certain factories where volatile chemical such as acids and ammonia are used. Surgeons who have to gloves for surgical procedures at times end up with latex allergy which is a kind of rubber used in the gloves. The NIH in Islamabad has identified the following sources of allergen in Pakistan; “Paper Mulberry or Jungli Shahtoot,Eucalyptus or Safaida, Canabis or Bhang, Acacia or Phalai & Keeker, Sun flower or Suraj Mukhi, Bottles Brush, Zea Maize or Makai, Pinus or Cheer, mix grasses like Kubble, Dubb, Timothy grass, Meadow grass, hedge like Sanatha,other plants are Sorgum or jawar, Sumbul, Hibiscus or Gul-e-Kaira”. Did I get the allergy from my Parents? Yes, there is a possibility that you get the allergy from either one (40% chance) or both (60%) your parents. How do you tell the difference between my allergy and a mild viral upper respiratory infection? In a viral infection there will most probably be mild fever with a sore throat. There might be constitutional symptoms such as body aches and pains and a headache. The nasal symptoms are more difficult to tell apart as both conditions can have sneezing, nasal blockage, nasal discharge and nasal itching. Your doctor is the best judge to decide which is which. How can I protect myself from the allergy? At home. It is a good idea not to have wall to wall carpeting in the room where you spend most of the time of the day. Curtains collect a lot of dust and should regularly be cleaned. Indoor plants should be removed and pet animals should not be allowed to come inside the house. If the allergy is worse at bedtime then the house dust mite is a possible culprit. Sealing the pillows, duvet and the mattress in ant allergic plastic covers(http://www.snugnights.co.uk/dustmites.htm) is helpful. The rustling noise from these plastic sheeting might be disturbing to some but keeps the allergy under control. Room coolers should be avoided as they increase the moisture in the room which increases the growth of the house mite. Filters of air conditioners should regularly be cleaned. The use of a humidifier in the room is helpful. Rooms should be avoided if they have been cleaned with a brush (‘Jharoo”) as the dust can remain suspended in the air for hours after this kind of cleaning. Even vacuum cleaning can have dust suspended in the room air. Damp cleaning is the most useful and should be the norm. Stuffed toys should be washed regularly but are best avoided in the childrens’ rooms. Outdoors and in the car. It is important to protect yourself from the allergens. 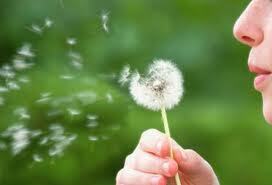 Therefore, keep the windows of the car rolled up and the air vents shut especially in the allergy seasons. If you on the bike wear a mask and a helmet to give maximum possible protection. If you’re going on holidays. Take suitable medicines against your allergy and dark glasses (shades) as well to protect from the sun and dust in hot climates. What symptoms will I have if I have food allergy? Well, you might feel itching in the mouth and the throat and might have vomiting and difficulty in breathing. You also might have swelling of the lips and rashes on the skin. Do I have allergic rhinitis? If you have nasal symptoms such as nasal blockage, nasal discharge, sneezing with other symptoms like itchy and watery eyes then most probably you are suffering from allergic rhinitis or hay fever. You might have problems throughout the year or only in on a seasonal basis. Some people have symptoms at the beginning of winters and then again from March till May when the shrubs, grasses and trees grow and the agricultural cutting is going on too. 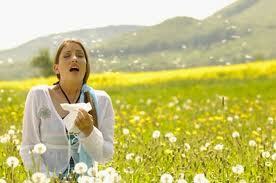 There is a lot of pollen, dust and fungal spores in the atmosphere which cause all these symptoms. Is my allergic rhinitis treatable? Yes it is and it can quite nicely be controlled provided you follow the instructions of your sinus surgeon.